The Best Western Aramis Saint-Germain is a charming hotel located in the city center on the left bank, between Saint Germain-des- Pres and Montparnasse. We are near shopping area, fashion boutique Le bon Marche, antique stores, 500 meters from Luxembourg Garden, 500 meters from Luxembourg Garden, one kilometer from Latin Quarter and two kilometers from Le Louvre and Notre Dame. 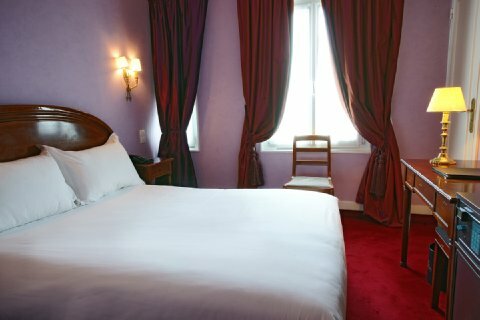 The Best Western Aramis Saint-Germain has modern comfort with antique furniture in a 19th century building. Our hotel offers coffee shop, meeting space to accommodate up to 30 guests and laundry and valet services. Our guest rooms are equipped with satellite television with CNN and BBC, telephone with dataports, mini-bar, coffee/tea maker and hairdryer.